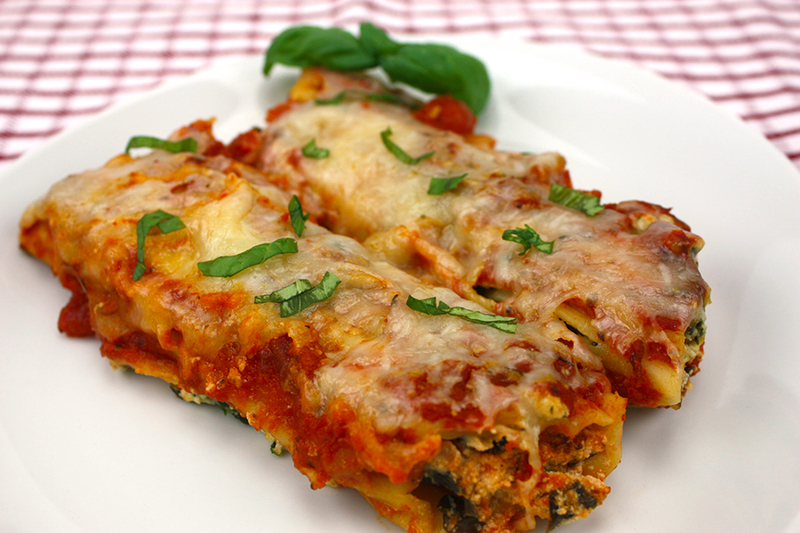 Manicotti makes a perfect vegetarian meal option. 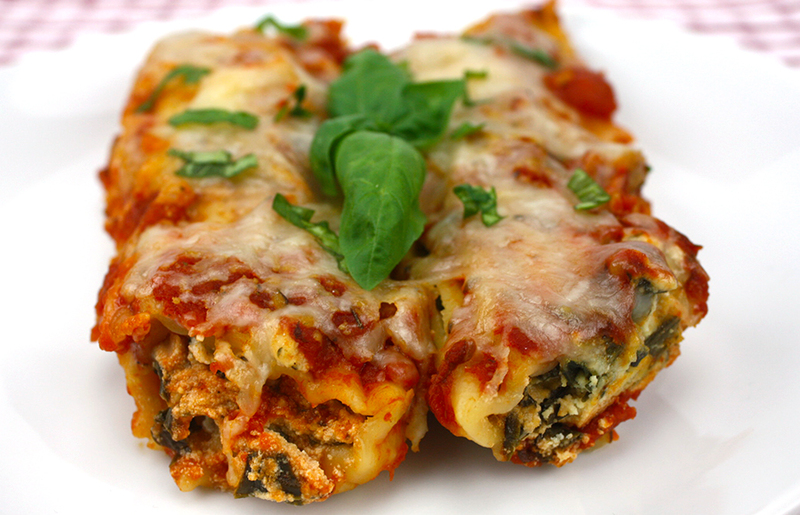 Pasta stuffed with spinach and ricotta cheese, covered in marinara! How can you go wrong? Even the biggest carnivore will love this meal. My husband devoured it! But that could have been because I have deprived my family of pasta for a while now. I was just trying to drop some pounds, hopefully, along the way he would too. 😉 Don’t tell him I said that. What’s awesome about this recipe is you don’t have to boil the pasta first. 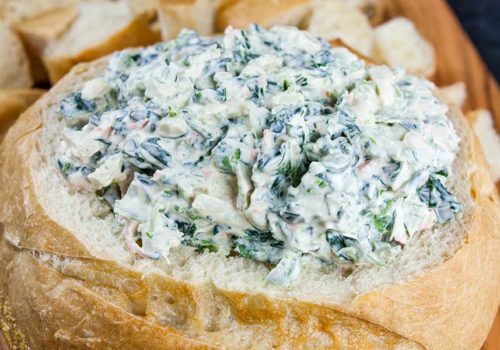 Mix the spinach-ricotta filling, dump it into a zip-top bag, snip a corner off the bag and squeeze into the pasta tubes. Easy, right? Repeat with the remaining manicotti and cover with the remaining sauce. Make sure it’s fully covered. Cook on high 2 hours or low for about 3 1/2 to 4 hours, depending on your slow cooker. Mine cooked for 3 1/2 hours. Sprinkle the additional mozzarella over the top and let cook another 10 to 15 mins, or until melted. 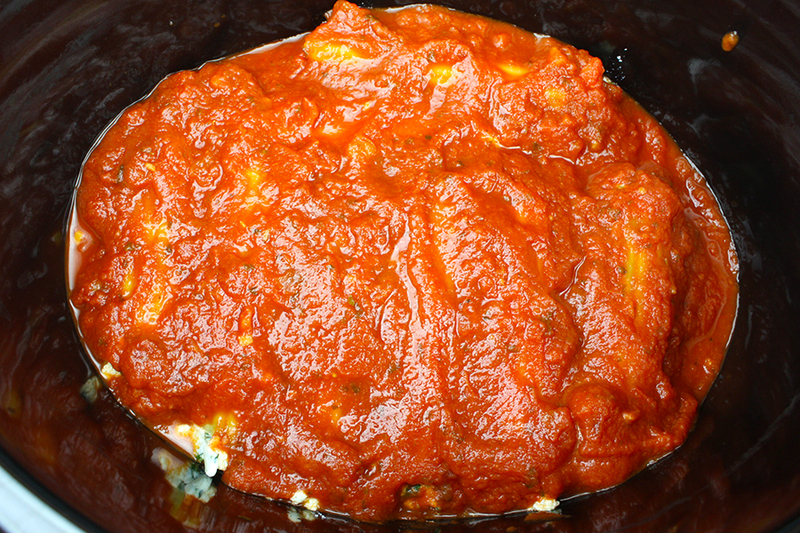 Serve and enjoy this simple slow cooker manicotti! If you’ve been deprived of pasta lately too, this dish will really satisfy! 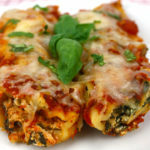 Slow Cooker Manicotti - This ricotta spinach manicotti is a perfect slow cooker vegetarian meal! 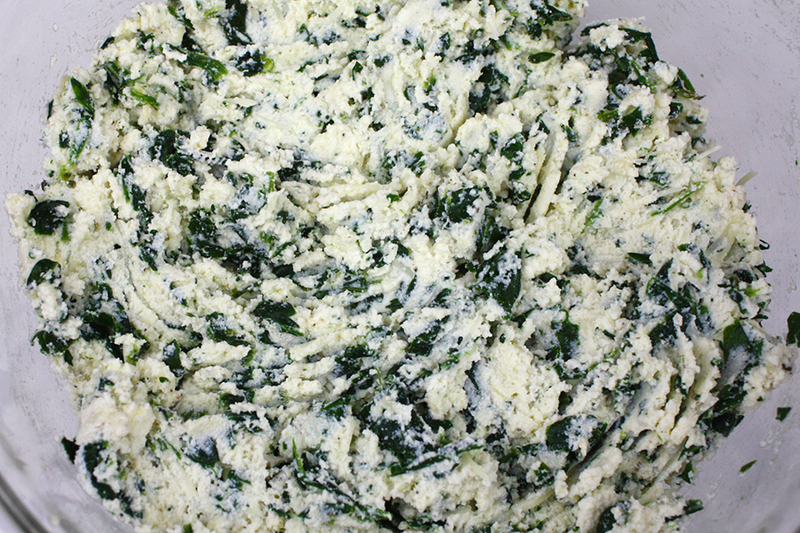 In a large bowl mix together the garlic, ricotta, egg, parmesan, 1 cup mozzarella, spinach, salt, pepper, Italian seasoning, and nutmeg until well combined. Put the manicotti filling into a gallon sized zip-top bag. Snip off one corner with scissors as you would with a pastry bag, squeeze the filling into each manicotti tube until each tube is full. Place 3/4 of 1 jar of sauce over the bottom of the slow cooker. Lay a layer of filled manicotti on top of the sauce, cover the first layer of pasta with about 1/2 cup of sauce and repeat with the remaining pasta, ending with sauce covering the pasta completely. Cook on high for 2 hours or low for about 4 hours. Check periodically to make sure it's not drying out. When the manicotti is fork tender, sprinkle the remaining 1 cup of mozzarella over the top and cook until melted about 10 to 15 minutes. 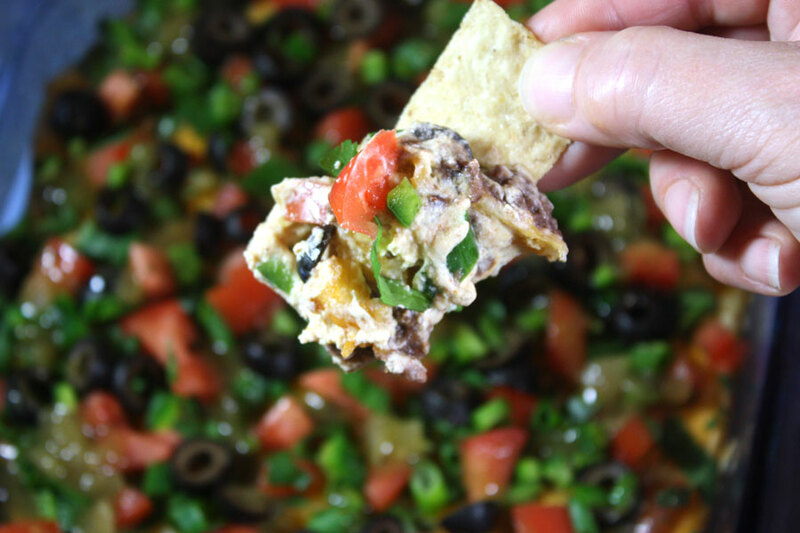 What a delicious recipe for the Slow Cooker, we will love it! Thanks so much for sharing with Full Plate Thursday today. Have a great day and come back soon! 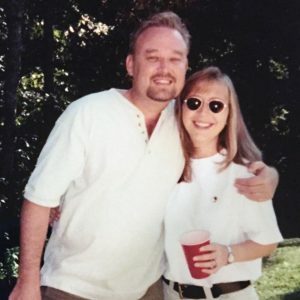 Thank you, Janet! No having to boil the noodles first was a big PLUS for me. Wow! 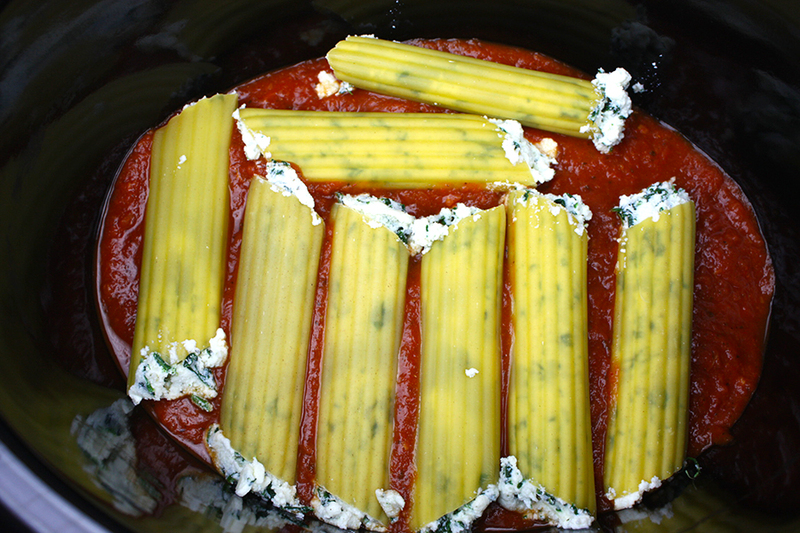 Never thought about making manicotti in the slow cooker. I’m going to try it. Thanks so much for sharing with Merry Monday. This looks delicious! I’ve been wanting pasta but because is so hot out was waiting. Thank you! !